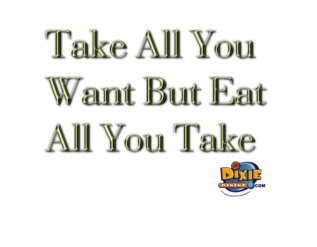 Show your Dixie Dining spirit! In our Cafe Press Shop, you can find a great selection of Dixie Dining logo items. From clothes to coffee mugs to mouse pads and more, you'll find a way to share your love of Southern traditions.